Both teams are in group A with Mexico and Portugal. Russia will be hosting the FIFA World Cup 365 days from today and it is a huge honor for any team to host this prestigious tournament. 17th June 2017 at 20:30 (IST). Saint Petersburg Stadium, St Petersburg, Russia. Russia will be hosting the FIFA World Cup in 2018 and will need to get ready for the biggest tournament at their home. Before the start of this Confederations Cup, Russia has played a series of Friendlies from time to time. They have won three games, drew three and lost three out of their last nine International Friendlies. They played against Chile in their last nine international friendly which ended in a 1-1 draw. Mauricio Isla opened the scoring for Chile in the 56th minute and then Viktor Vasin equalized the game in the 67th minute. Chile dominated the game with 64% possession and had 11 shots out of which five were on target. New Zealand plays in the Group A of the World Cup Qualifying 2018- Oceania with New Caledonia and Fiji and they are currently top of the group with 10 points. They played against Belarus in their last international friendly and lost the game by 1-0. They played against Fiji in their previous game of the World Cup qualifying game and won the game by 2-0. 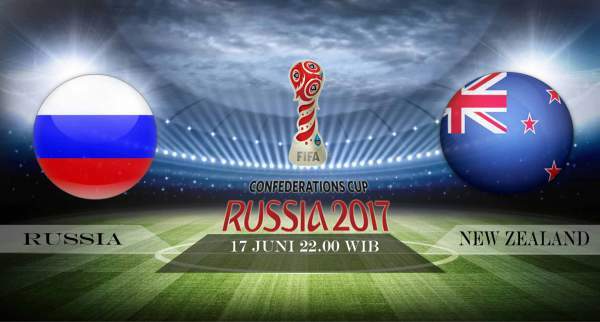 Russia will try to win on their home soil but NewZealand will not make it an easy task.